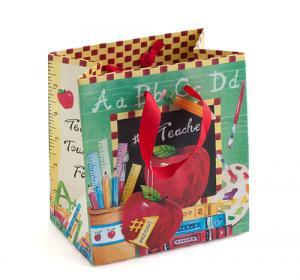 Small Teacher Gift Bag 6.5h X 6w X 4. Red tissue paper inside. Great to wrap your teacher gifts in!